Elemental Spiral is an energy healing system that I have developed. It is a ‘hands-on’ system working very deeply on physical, mental, emotional and spiritual levels. In addition it calls on a variety of healing methods during the treatments including such elements as colour, sound and aura work to enhance the benefits of the treatment. You will be asked to complete a client form giving your medical history. Then you lie on the treatment couch and simply relax! No clothing is removed although you will be asked to remove your shoes, glasses and any heavy jewellery or watches. You will be more comfortable if you wear some looser clothing particularly ensuring that there is nothing tight around your waist or throat. The treatment itself consists of hands placed in a succession of positions along the body. You will often feel heat generated from the therapist’s hands. A gentle touch to your face indicates that the treatment has been concluded. During the treatment you will normally feel relaxed and may see colours or even pictures; sometimes you may even fall asleep. You may find that you shed a few tears, suddenly begin to laugh or even find other emotions such as anger coming to the surface. This is perfectly normal and is the release of pent up emotions. Should this happen the situation will be dealt with sensitively. Where appropriate this can be by talking the issue through. During the treatment a therapist allows energy to flow through the hands into the client’s body. This energy is emitted at a frequency that ‘kick starts’ the bodies own healing mechanisms. Often you will feel the effects of the treatment for several days. Elemental Spiral can help you with any type of condition or issue. By also utilising talking therapy as appropriate it can also help to empower you to take back your personal power and responsibility for your own health and well-being. Usui Reiki was revived in the late 1800’s in Tibet and is an very ancient form of healing and is a form of energy healing. 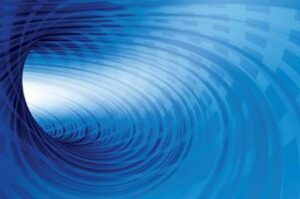 As with Elemental Spiral the energy from the therapist’s hands passes into the client’s body to ‘kick start’ the healing process. Reiki can assist with any condition or issue. You will be asked to complete a client form giving your medical history. Then you lie on the treatment couch and simply relax! No clothing is removed although you will be asked to remove your shoes, glasses and any heavy jewellery or watches. You will be more comfortable if you wear some looser clothing particularly ensuring that there is nothing tight around your waist or throat. The treatment itself consists of hands placed in a succession of positions along the body. You will often feel heat generated from the therapist’s hands. A gentle touch to your face indicates that the treatment has been concluded. During the treatment you will normally feel relaxed and may see colours or even pictures; sometimes you may even fall asleep. You may find that you shed a few tears, suddenly begin to laugh or even find other emotions such as anger coming to the surface. This is perfectly normal and is the release of pent up emotions. Should this happen the situation will be dealt with sensitively. Crystal healing is an ancient method of effecting changes within the body. Each crystal has different properties and a different vibration or resonance. By placing the crystals on of around the body any imbalances in the body’s energy system can be rebalanced. Crystal treatments can provide benefit for physical, emotional, mental or spiritual issues. You will be asked to complete a client form giving your medical history. Then you lie on the treatment couch and simply relax! No clothing is removed although you will be asked to remove your shoes, glasses (if worn) and any heavy jewellery or watches. You will be more comfortable if you wear some looser clothing particularly ensuring that there is nothing tight around your waist or throat. The treatment comprises the placing of a variety of crystals on and around the body. Once the crystals have been placed you will be allowed to relax and absorb the energies for around 15 minutes and for your energy system to become realigned. Once the process is completed the crystals are removed and you may relax for a few minutes. During the treatment you will normally feel very relaxed and may become aware of changes occurring throughout your body. You will generally be aware of the effects continuing for a few days after the treatment. Where the treatment has been more on an emotional level you may find that it is a day or two before the main effects are felt. Hopi Ear Candling or Thermo-Auricular Therapy is a very ancient healing practice. There are records of this type of treatment from many ancient races such as the Egyptians Assyrians and also the Native Americans. This treatment can help with excess wax in the ears, tinnitus (ringing in the ears), blocked sinuses, migraines and headaches and similar conditions. Also it can help to rebalance the pressure in the ears. The candles are hollow cotton or linen tubes that are impregnated with beeswax mixed with herbs and essential oils. They work by a mixture of a light chimney effect and warmth to release matter from the ears and balance the pressure inside the ear. You will be asked to complete a client form giving your medical history and to give details of what it is you require help with. You will then be asked to remove your shoes and glasses (if worn) and lie on the treatment couch. The treatment begins with a short facial massage to help loosen any blockages in the sinus and ears. Then you will be asked to turn onto one side and the lit candle is placed into the ear. Once the candle has burned down the contents are examined to establish how to proceed. The other ear is then treated in the same way. You will be invited to relax for a while afterwards. During the treatment you can normally hear a crackling sound from the candles and notice warmth in the ear. If in doubt check with your GP. Throughout our lives we experience many things both happy and sad. Some of these such as weddings and birthdays are recognised by ceremonies or rituals. Others whilst life changing are not specifically marked and we are just expected to just ’get on with it’. Release therapy is a way to connect with the negative aspects of events in your life that are preventing you from moving forward. By the use of a ritual or ceremony specifically created for each individual it is possible to identify exactly what the sticking point is and either release it at the time or determine the way to let go of this aspect. At the first appointment the issue is indentified and the requirements for the ritual agreed. I will then create the form of the ritual and let you have it so that you can fully understand the procedure prior to entering into the ritual. A further date is set for you to perform the ritual. This can be done alone, with a friend as a support or I can be the support for you if you wish. The more wholeheartedly you can enter into this the deeper the effect that can be achieved. Chakra are our energy centres. There are 7 main chakras and each of these govern the organs and glands in the area of the body in which they are situated. Chakra is a Sanskrit word meaning ‘wheel’ as the chakras spin in a vortex. Each chakra also has a colour attributed to it. Chakra balancing involves realigning the chakras so that they are functioning correctly and, therefore, regulating the body and regaining balance. When you are unwell the energy in the chakras is out of balance and by rebalancing the energy this also realigns the physical body. 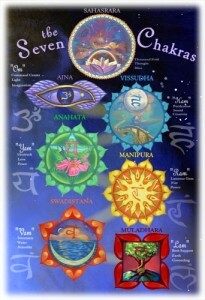 Chakra balancing is offered either using Elemental Spiral i.e. using hands on energy balancing or using crystals by placing the crystals around and on the body. You are free to choose which you would like. This is a short treatment and can be used as a quick revitaliser if you do not have time available for a full treatment. Contra indications – there are no contra indications. There a different forms of psychic surgery. I use a Huna based system that works by removing energetic blocks in and around the body. 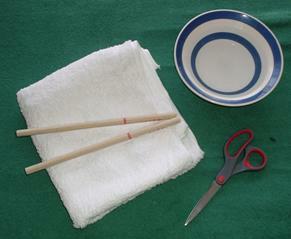 It is a method of working at a deep level to clear blockages. Permission of the recipient is requested before the treatment as only that which the person being treated is prepared to release can be removed. This treatment can form part of any other treatment as I do not usually simply work with psychic surgery alone. You may sit or lie on the treatment couch, whichever you prefer. You will be asked to close your eyes and sense for any blockages which are then removed using a breathing technique. The process is repeated as many times as necessary. Afterwards you may wish to rest for a short time. Sometimes you may feel a little light headed for a few minutes. Most people feel much ‘lighter’ after this treatment and often there is an immediate lifting of the weight of issues that have been troubling. The space in which we live and work can hold energies from the past as well as the energies we are putting into them now. You are probably familiar with the difference you can feel walking into a ‘happy’ house and one where there are a lot of disagreements etc. All of these things linger in your space and over time help to increase those feelings. In addition there are the energies in the earth such as ley lines, the affects of water under the property, energy vortices and entities. There are many more such energetic effects but these are just a few to give you an idea of the types of things I work with. I can either clear the space from a distance or visit the premises to do the clearing. To clear the space remotely I require a sketch plan of the premises. Appointments need to be made for visits to the premises. Depending upon the findings you may also be advised to perhaps move furniture and in particular electrical equipment or to acquire items such as crystals to help keep the energy balanced. My style of reading is to empower people to find their way forward. So I focus on what you need to know now and the steps to take to move forward. That is not to say that future aspects do not come into the reading. Remember that the only time that you change anything is right now. Whatever you are aiming for you can only take action in the present moment. 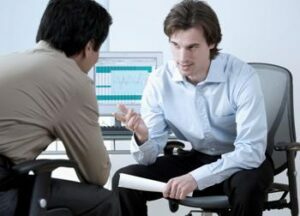 Life coaching is a means to support you in a specific endeavour. It is not a therapy but a route to put into effect your plans. Many times we think we want to do this or that and never achieve it largely because we have not had a specific plan to get there and have not focussed on your plan. By working with a Life Coach you are encouraged and guided through the process. It is at all times up to you to set the pace and agree exactly what it is that you can achieve between sessions. However, by having someone to keep you on track you can reach your goals. A Life Coach also has training in a variety of techniques that you probably have not come across before to enable you to monitor your progress and keep your mindset strong and positive. The length of time that you would need to allot to working with a Life Coach is dependent upon your exact goal. I do also use the training as a Life Coach within my own therapy work as many of the techniques are equally valuable to help progress with your healing and progress towards wellness. I use hypnosis to regress to past lives. This is not offered as a separate treatment but can be brought into your treatment plan should you need this to be done. Many memories and issues can be contained in a past life and it is not prudent to open these up if it is not the right time. First you need to work back through your present life and deal with the issues there. 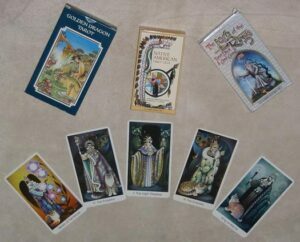 If this still leaves you with issues that are unresolved it is then the time to consider looking back into past lives. People often want to think that they have been Elizabeth I or Cleopatra or similar in a past life but the reality is that most people will have relatively mundane past lives! There are two ways (or probably more) of looking at the concept of past lives. Firstly it can be an actual memory of a life that has been lived before. Secondly it can be connecting with the group consciousness and linking into information that is relevant for you at the time. Personally I do not consider that there is any particular issue with this – simply go with whichever description feels to sit best with you. After all we cannot categorically prove either thought and they may even both be correct we simply do not have the knowledge to explain the phenomenon at the moment.